As part of an effort to enhance services and improve the public’s ability to stay abreast of important issues, the County of Inyo has begun offering a streaming video service that will allow viewers to watch weekly Board of Supervisors meetings live via the Internet. Prior to “going live” with the service, the Inyo County Information Services Department conducted a series of live tests of the system over the past several weeks to identify and solve technical issues. Information Services staff will continue to monitor the live feeds and make adjustments as needed. The test feeds were accessible on the County’s website during the Supervisors’ meetings, and those who watched live were impressed with the quality of both the audio and visual components and the ease with which they could “tune in” to the broadcasts. The live tests and, now, the actual launch have been wholeheartedly welcomed by an excited Board of Supervisors, members of which have been eager to make it possible for all constituents to watch meetings without having to drive long distances to attend in person. Some Supervisors’ constituents live as far as three hours from Independence, where the weekly meetings are held. For the past two decades, residents have been able to watch live broadcasts of Board of Supervisors meetings via local cable access channel 12, but unfortunately the channel is available only to Suddenlink customers in the greater Bishop area, and the broadcast has been plagued with audio-visual issues. 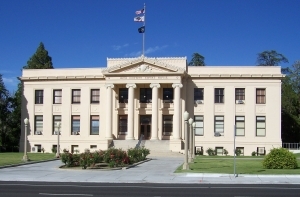 A link on the County’s webpage will let viewers access the live feeds of the meetings, and can be found athttp://www.inyocounty.us/Board_of_Supervisors/. The Board of Supervisors meets every Tuesday, with some exceptions, beginning at 8:30 a.m. The live feeds will be archived at the above-listed link and can be viewed at any time. An automated agenda is currently in the works and once fully integrated with the live feeds, will allow interested parties to access specific, individual agenda items in archived videos as well as find corresponding minutes.